How have you all been. 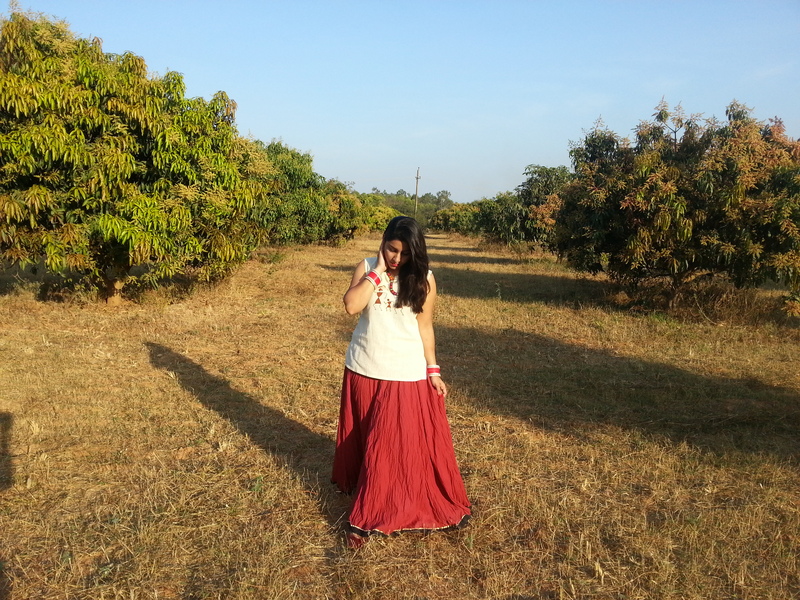 Its been a while since i have done an outfit post as i was occupied with a lot of stuff. But here i am today with a new outfit and the reason why i chose to go for it. 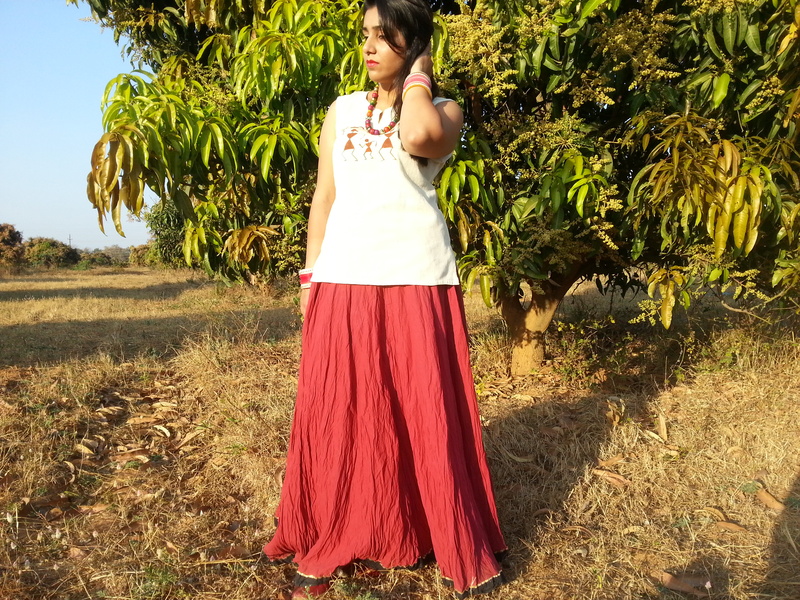 I am not so much into wearing traditional cotton skirts on general basis and have kept it only for some special occasions. 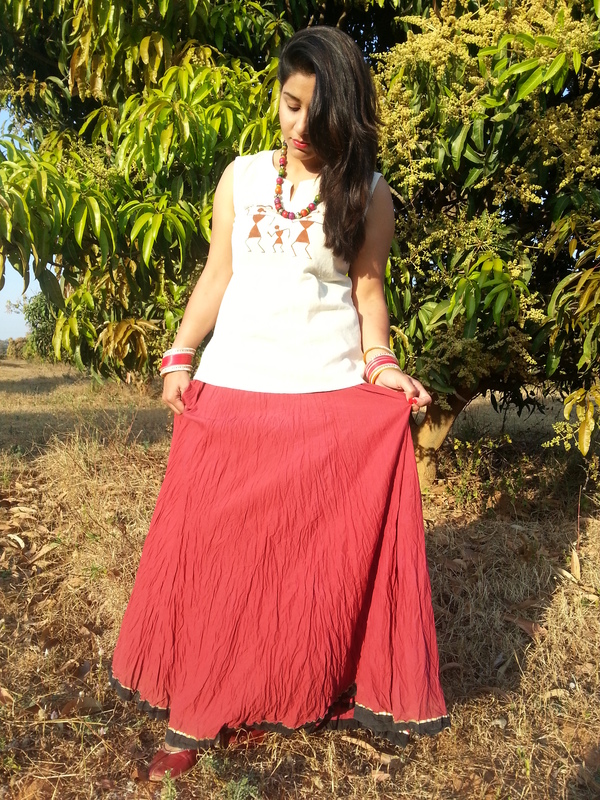 but recently when i was cleaning my cupboard i saw this cotton skirt lying around in there which i had purchased during the last year Dandiya festival. I then immediately thought of pairing it up with my new khadi kurta that i got from khadi trade fair i had been to last week. 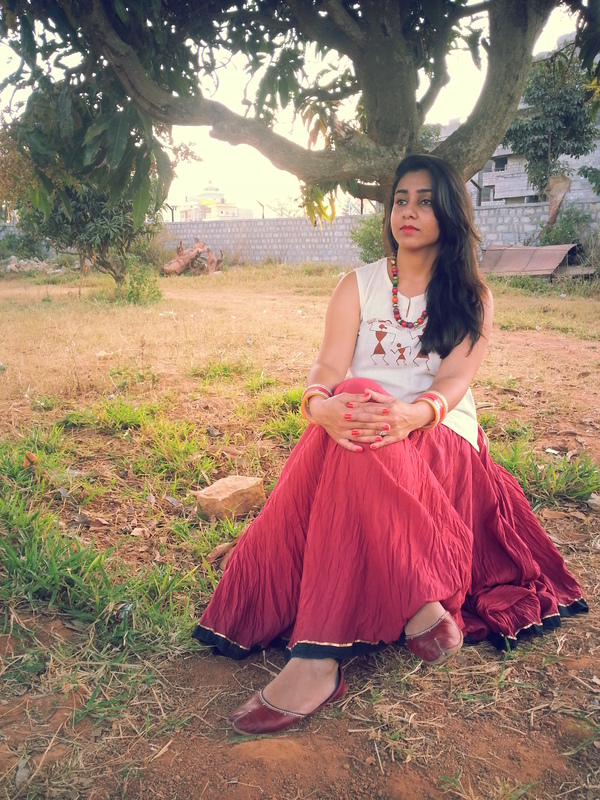 I just loved the dancing ladies print on the kurta and i must tell you its super comfortable. 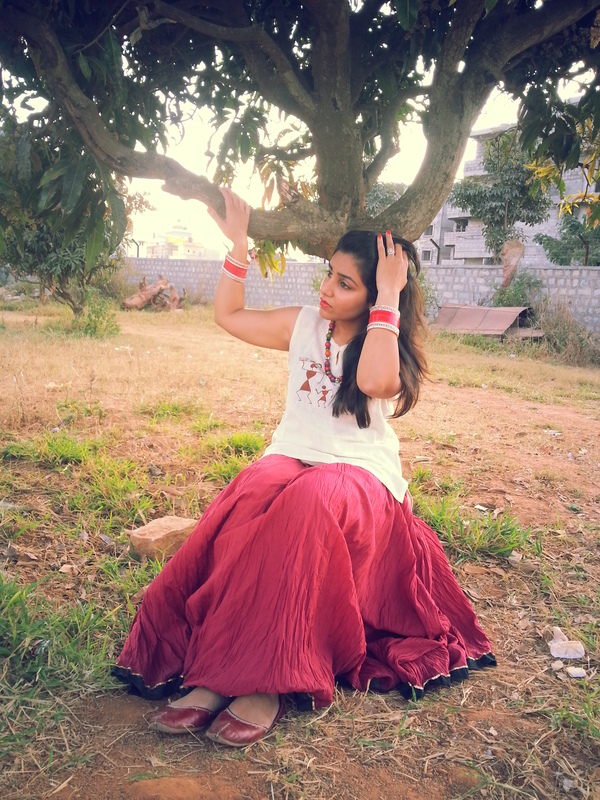 So that is how the idea strike me to do an Outfit post on this one and here i am with a very simple yet romantic(kind-of, due to skirt) look. 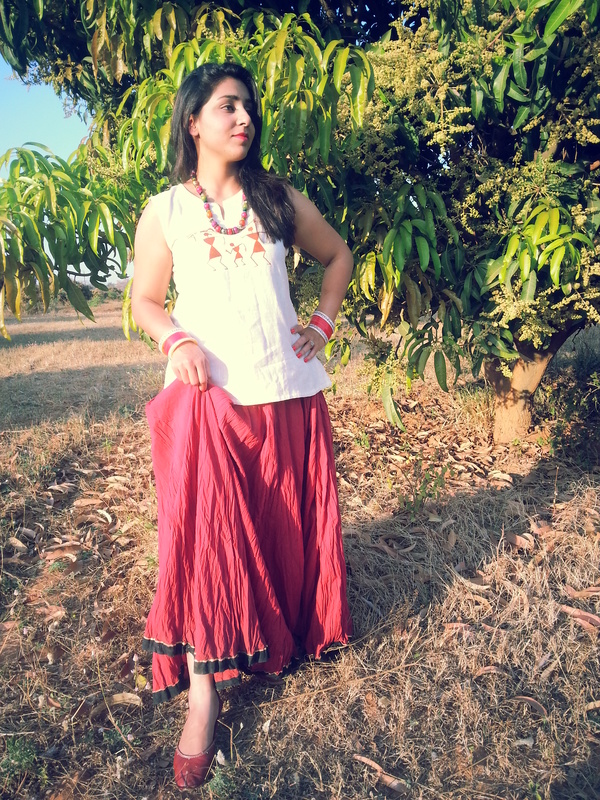 This look and fabric is perfect to be worn during Indian summers as it is very light and easy to carry. 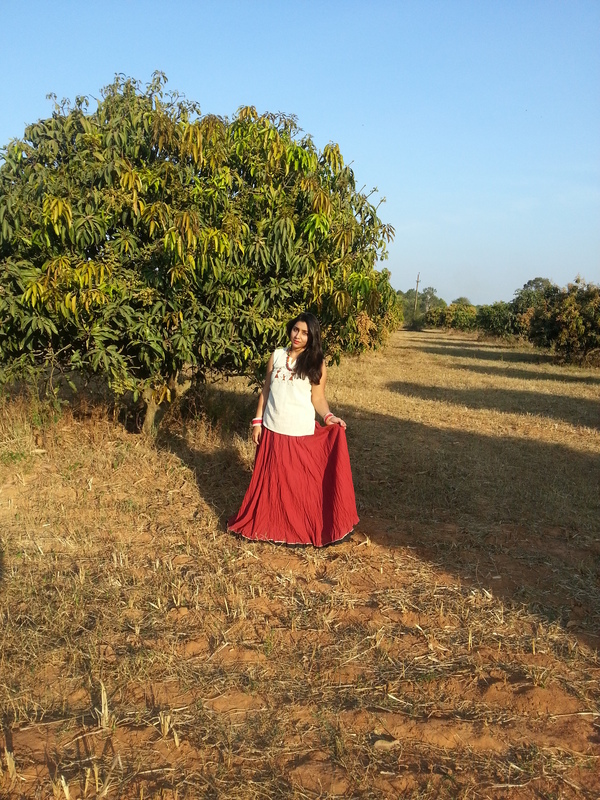 The sun was really harsh the day i got the photos clicked but i was not uneasy in this dress at all. Rather, i feel the pics have come out really nice due to the light effect. I have not edited the pics at all here. 🙂 Yeah, thats true!! This outfit was least worked upon yet most comfortable one by far and i just loved how it came together so easily and nicely. Hope you liked the pics too. Kurta(Top): Khadi Trade Fair Bangalore. Footwear(Punjabi Jutti): From local shop in Patiala(Punjab). On my Lips : Mac Cremesheen Prepare for Pleasure. 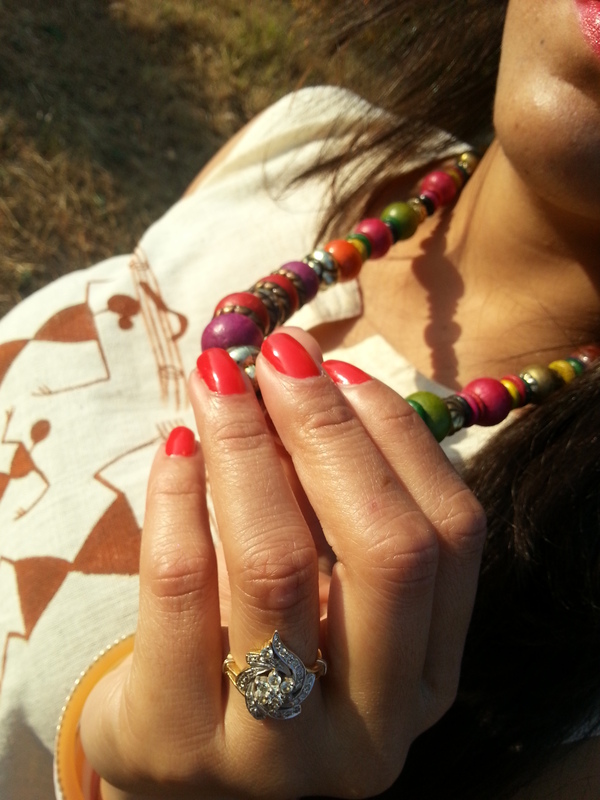 On my Nails : Maybelline colorama in Red. Do Leave your comments and suggestions on how you liked it.